Melt butter in 2 qt. measuring cup. Add sugar and stir. Add vanilla and stir. Add milk a little at a time, stirring. Mash bananas and add to mixture. Fold egg whites into mixture. 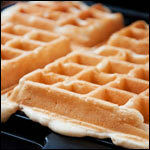 Pour small amount into hot waffle iron (cover iron). When done top with fresh sliced strawberries, whipped cream and chopped pecans. 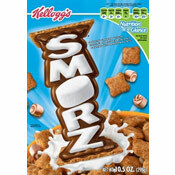 Serve with melted butter and syrup. Banana waffles topped with fresh strawberries, whipped cream and chopped pecans. What could be better? 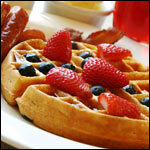 What do you think of Banana Split Waffles? I add mashed banana to everything. Oatmeal. Breads. Pancakes. And now Waffles. 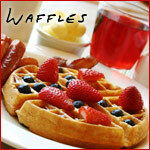 I haven't made waffles in years and this is the 1st recipe I tried. They came out really well and no problems with them sticking. I also through a few blueberries into them and it worked out well. 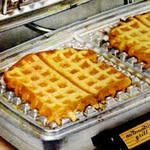 I got bought a waffle mecaine for Christmas never made them in my life before tried this recipe and they turned out great will be doing more off them soon. MY WIFE MADE THESE WAFFLES AND HAD NEVER MADE WAFFLES BEFORE IN HER LIFE. THEY TURNED OUT GREAT AND WE LOVED THEM. SO DID OUR 8 MONTH BABY GIRL. Terrible recipe. 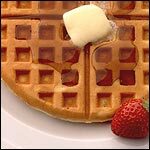 Waffles come out limp no matter how long you cook them and super sticky (difficult to remove from even an extremely well buttered iron).